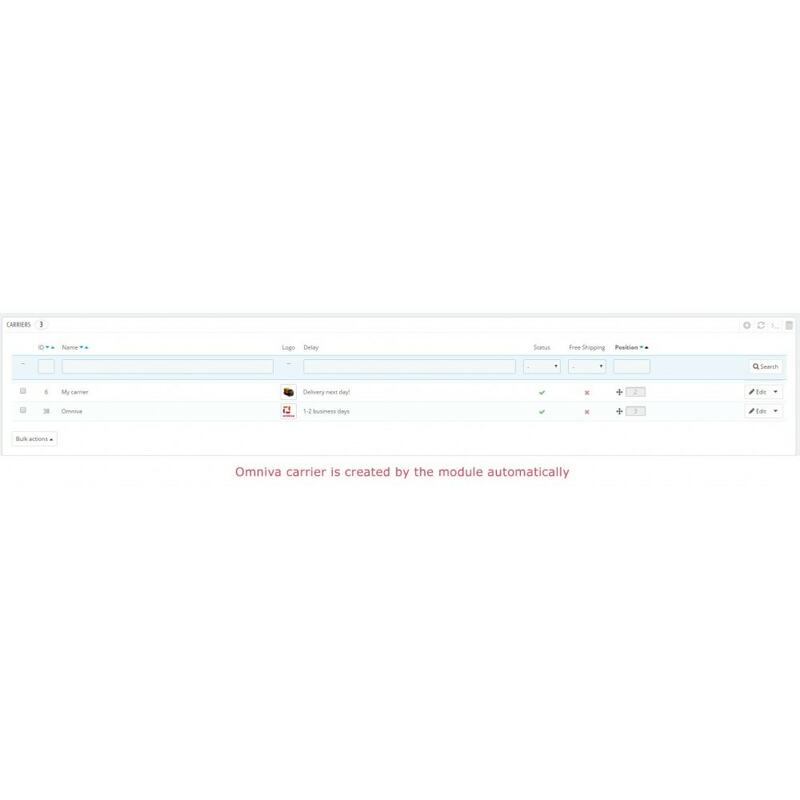 Omniva Terminals module for your store. This module is available for Estonia, Latvia, and Lithuania. Creates an additional Omniva carrier. 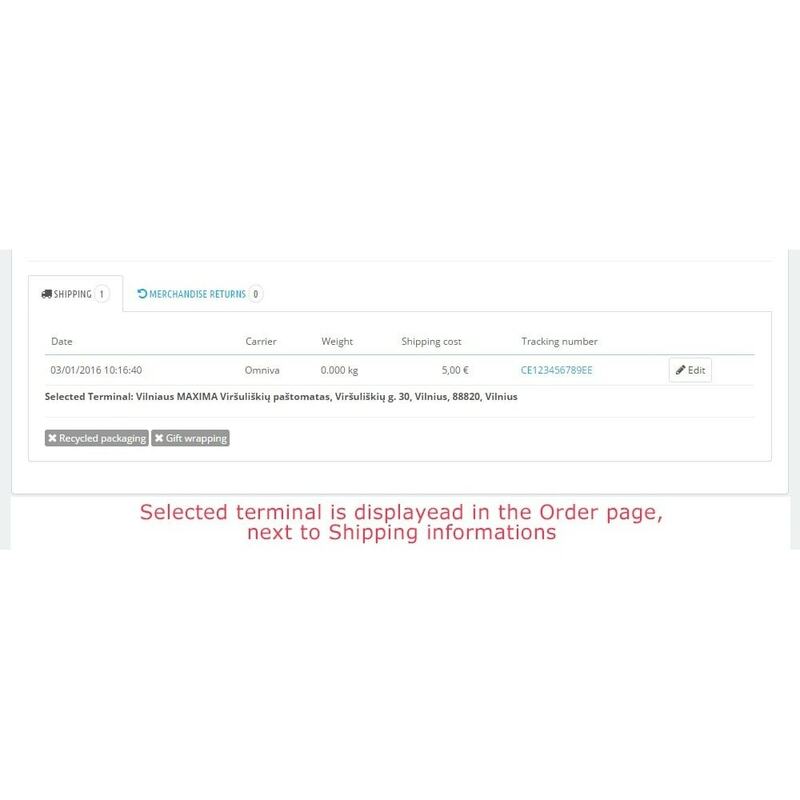 Terminals selection is displayed in the checkout process next to Omniva carrier. Terminals list can be updated manually or automatically. Works with 5-step checkout and with one-page checkout. 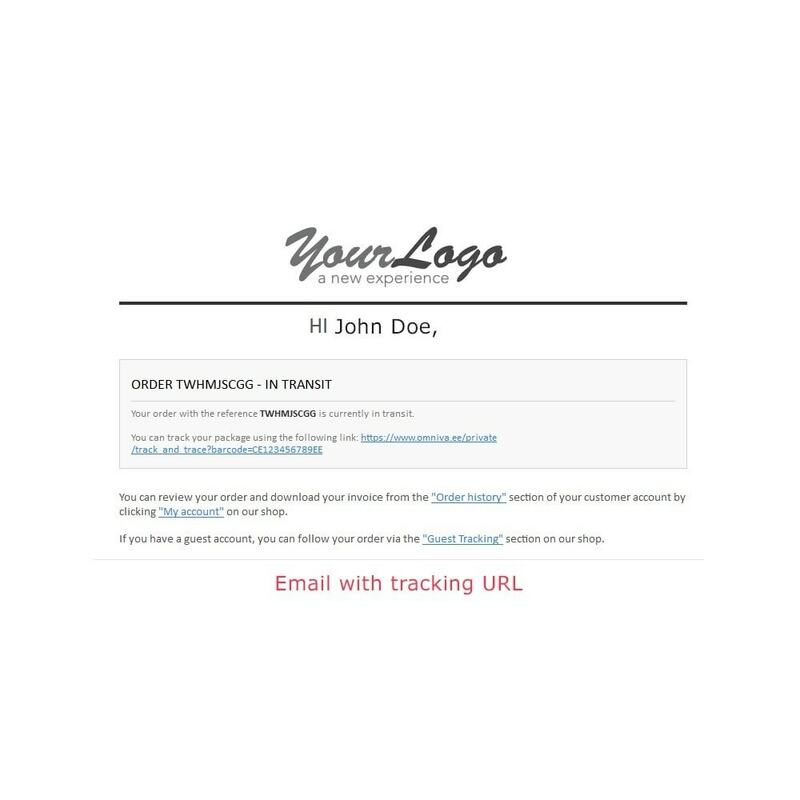 Automatically shows or hides the carrier according to customer delivery address. 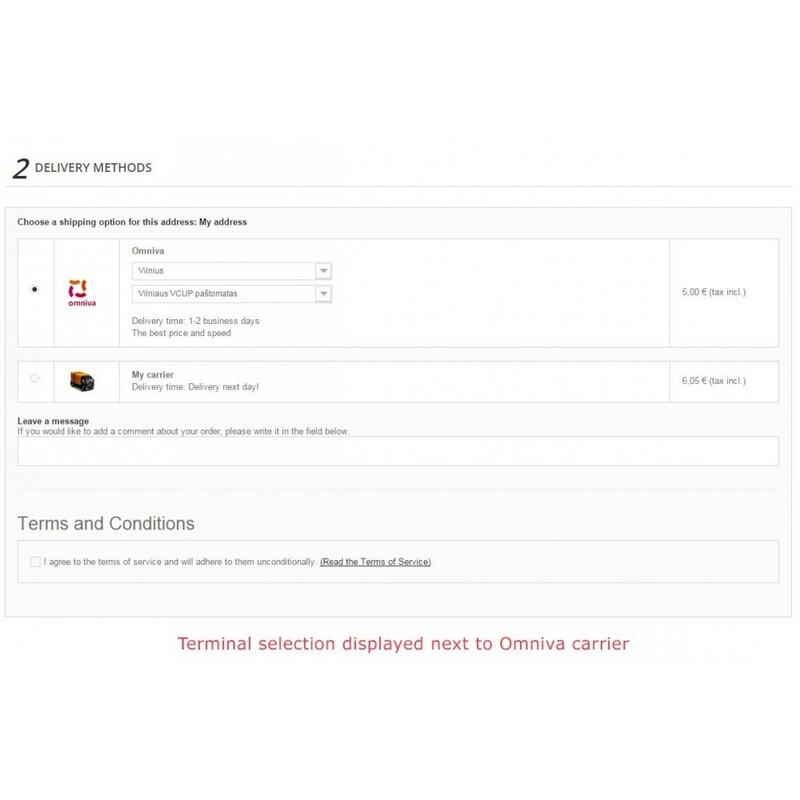 Your customers can easily select an Omniva terminal in the carrier selection step in the checkout process. Terminals are shown by delivery address, so the terminal selection is done in a few clicks. 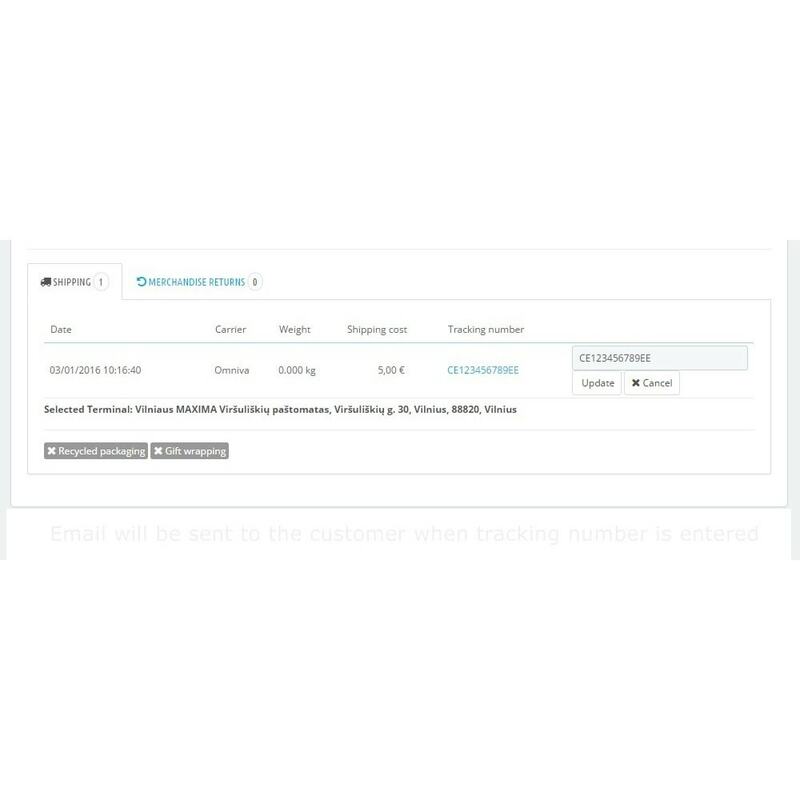 Customers can track their parcels when the tracking number is added due to assigned tracking URL to the carrier. отлично все работает , настроек минимум все на автомате. Follow the documentation for installation and configuration process. Fix updating terminals data when Omniva makes changes on their side but MODIFIED parameter leaves empty. Added selector field for easier Omniva terminal dropdowns attachment in carrier row, in checkout page.